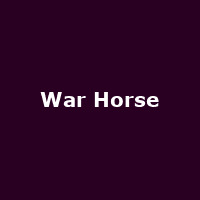 War Horse is a multi award-winning show written by Michael Morpurgo, stage adaptation originally by Nick Stafford. "At the outbreak of World War One, Joey, young Albert's beloved horse, is sold to the cavalry and shipped to France. He's soon caught up in enemy fire, and fate takes him on an extraordinary odyssey, serving on both sides before finding himself alone in no man's land. Albert cannot forget Joey and, still not old enough to enlist, he embarks on a treacherous mission to find him and bring him home.". Features puppetry and loud gunfire. The production is scheduled to tour the UK from 2013 onwards.